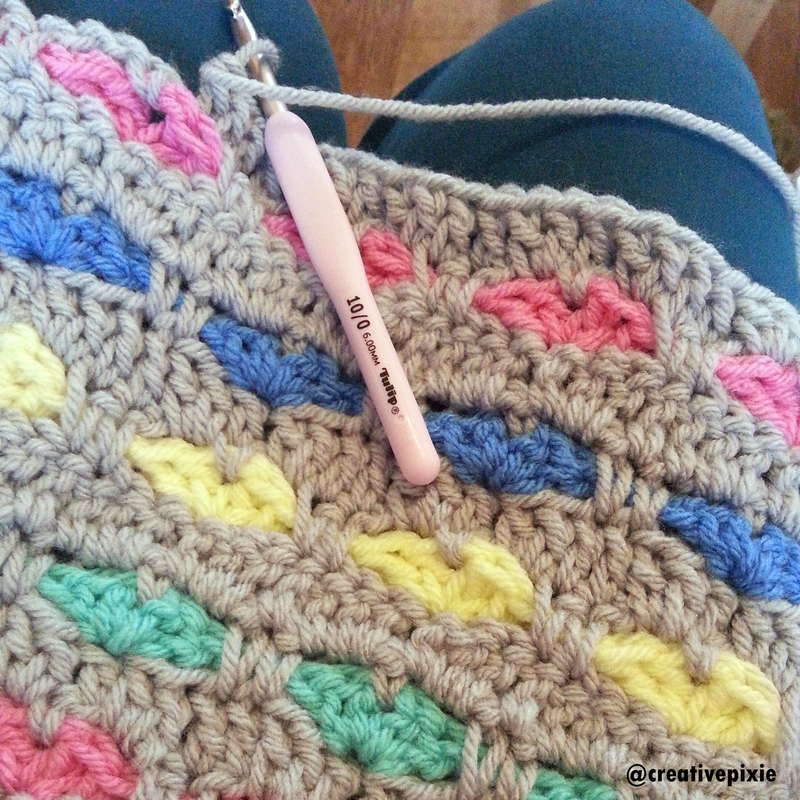 This weeks make is one that you’ll hopefully see a few posts on updating you on its progress – it’s a crochet heart blanket. I’ve been thinking about making a new crochet blanket for a while now so was online looking for inspiration. There are soooooo many talented crocheters out there. A lot of people seem to be working on V-stitch crochet blankets and while that is a lovely design and definitely on my to-do-list I just couldn’t face sewing in all those loose ends. A few weeks back I saw a gorgeous design for a blanket on Pinterest, clicked on the link which led to a free heart blanket pattern by Crochet World magazine. How unusual is that? I thought it looked quite complex so I’ve set myself the challenge of making it. Unfortunately the pattern is in US terms so I’ve had to translate into UK terms (which took a while) and put it into my lovely red Moleskine notebook (I’ll share some lovely pics when I fill it up a bit more). 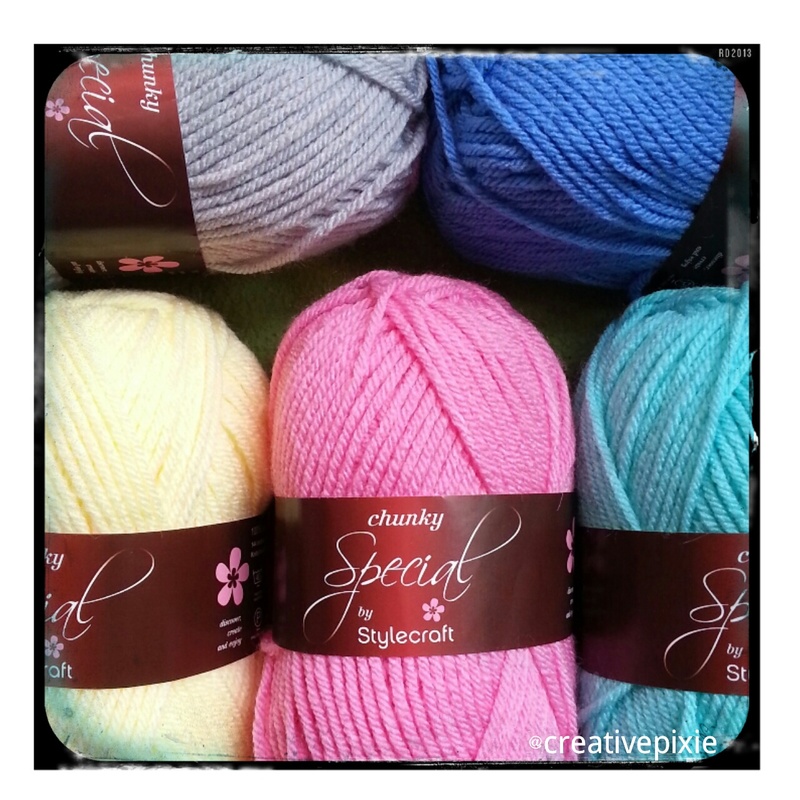 I placed an order with Wool Warehouse for some Stylecraft Special Chunky yarn (the best price I have seen online) as I wanted to be able to crochet it up quickly. I decided to make the silver grey the background colour and the use the yellow, pink and blue and green as the colours for the heart stripes. The pattern is fairly easy to work through, although I do need to refer to my notebook at the start and end of rows to remind myself of what to do. It’s about as wide as a single bed so I guess I’ll just keep crocheting until it’s big enough for a bed. Little Miss E has asked if this blanket can be for her so now I have a reason to finish it and not let it languish in my WIP pile. I’ll keep you all updated. Anyone else working with an interesting crochet pattern? I’ve not seen anything quite like this before – love the long fringing. Grey will be more practical than cream if it’s for a little girl. No doubt you’ll finish it in double quick time if she’s keen to have it! I really like how the grey looks with the other colours, makes it a bit different. Loving the gorgeous grey background, it really makes the other colours zing! Thanks, the yarn is lovely to work with. That is rather lovely!! Well done. Can you give us the link to the free heart pattern? It’s already linked, click on the words free heart blanket pattern or on the photo of the completed blanket. These links will take you to the Crochet World magazine pattern. 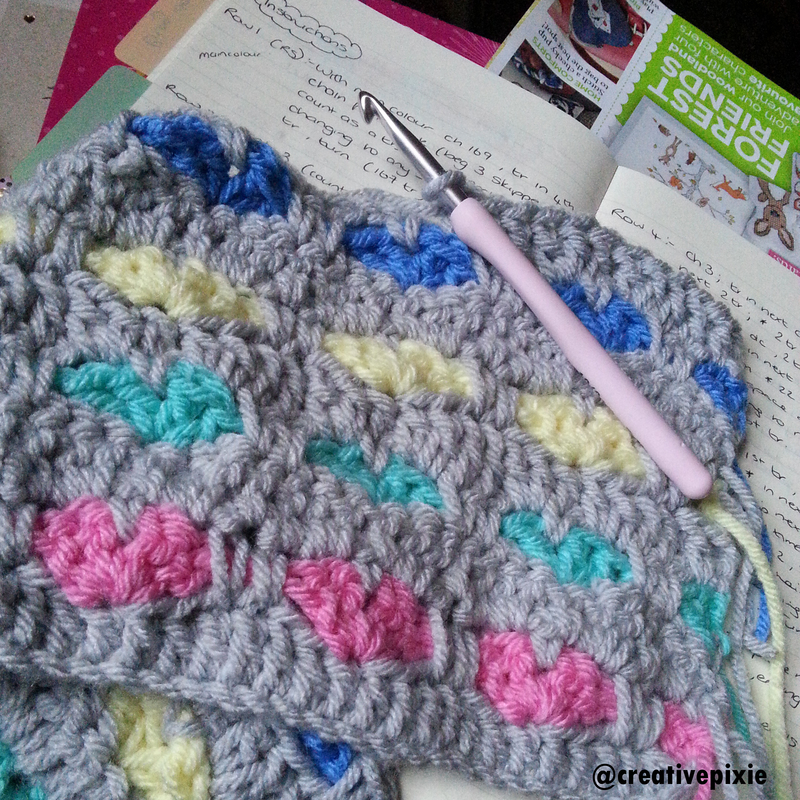 When I first saw the pic of the blanket, I thought it was a load of granny-square types which had to then be sewn together, and immediately wondered why you’d rather do that than darn in a load of loose ends! Very glad to see that it’s all done up as one thing, which will make it so much quicker!